What is a dog ACL tear? Why do dogs tear their ACL? What are the signs when a dog tears their ACL? What is the cranial drawer test? How are dog ACL’s treated? Can a dog ACL injury be prevented? What is the prognosis for a dog with an ACL tear? In order to fully understand this injury it helps to have a basic understanding of the anatomy of a dogs knee. The knee, often referred to as the stifle by veterinarians, is the joint in between the femur and the tibia in the hind leg. Inside of this joint there is cartilage, joint fluid, two meniscus and of course the dog cruciate ligaments, of which there are two of them crisscross. These crisscross cruciate ligaments provides much of the knees stability and is responsible for keeping the tibia from sliding too far forward, or too far backward when the dog bends their knee. On the outside of the knee joint there are a series of other ligaments which also provide some stability but we are not going to get into that right now. *Important Fact You Need to Understand* Dog acl tears are classified as either partial tears or complete tears. It is important to have a veterinarian determine the degree of injury to your dogs knee. This will provide more insight into the best solution for treatment and recovery. It is also very important to understand that dog acl injuries are hands down the most common orthopedic injury in dogs. In fact it has been reported that 85% of all orthopedic injuries in dogs are some form of ACL injury. In addition, due to the instability this creates in your dogs joint, it is also one of the main causes of degenerative joint disease (DJD), more commonly known as arthritis in dogs. All dogs are at potential risk of tearing their ACL. According to research no one particular gender, breed or age dog is at more risk. That said, the most commonly reported dogs with ACL injury’s are young, active, large-breed dogs, such as Mastiffs, Labrador retrievers, Rottweilers, and German Shepherds to name a few, but small dogs can also sustain ACL injuries as well. Additionally, overweight dogs are at greater risk of rupturing their ACL ligament than healthy, well-conditioned dogs. The vast majority of ACL injuries in dogs are a result of a “HyperExtension of the Knee Joint.” This is way in humans, the most common people who blow their ACL are football players or basketball players, because they are continually “thrusting forward” ie. hyperextension. Some of the more common scenarios reported from dog owners revolve around the dog chasing a squirrel in the backyard or playing hard with friend. What is most important though is how to prevent the same injury to your dogs other hind leg. Listen Very Closely: Since your dog has injured one hind leg, they are having to compensate on their 3 other “good” legs. This compensation puts the other legs, back and joints at greater risk of injury. It is estimated that 30-50% of dogs who tear one ACL will tear the other ACL within a few years. The reason for this is very simple. Lack of physical therapy and proper conditioning after surgery and lack of good joint health supplements. It is as simple as that. Pet owners often report hearing their dog “yelp” in pain and then start limping after their dog injures the ACl. But in many cases the pet owner never hears any cry and all of sudden notices their dog limping or not putting any weight on the hind leg. 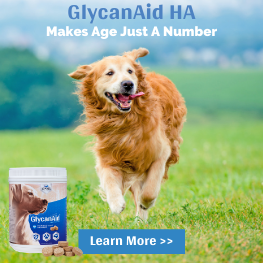 If your dog is not putting any weight on the hind leg and is holding it up, then there is a very good chance they may have a FULL tear of their ACL. On the other hand if your dog is just slightly limping or using the leg but not putting full weight on it, then there is a good chance they may have a PARTIAL tear of their ACL. For best diagnosis it is imperative that you seek the advice of a veterinarian who is familiar with diagnosing dog ACL tears. Diagnosis is based on demonstration of a specific test, called the cranial drawer test. This is best performed with the dog lying in its side in a relaxed state. Because it is so important that the dog is relaxed in many cases slight anesthesia or sedation is need for best results. The examining veterinarian positions their thumb and forefinger of one hand on the femur, and the other hand is placed on the tibia. The femur is held in place while the other hand shifts the tibia backward and forward. In a normal, stable joint, there will be little to no motion ie. instability. Rupture of the cranial cruciate ligament allows the tibia to slide forward. Therefore, a positive cranial drawer test is indicative of cruciate ligament damage. Another test that is used to diagnose dog ACL tears is the tibial compression test. In this assessment, one hand is placed around the end of the femur, with the index finger extended over the patella. The other hand grasps the foot, and flexes the hock (ankle). If the tibia moves forward, it is an indication of ACL damage. Another valuable test is to have radiographs ie. xrays taken of the knees and the hips. This is a great way to rule out other causes of lameness such as fractures or hip problems. In additions, xrays will also show any signs of arthritis. A more elaborate and advanced form of diagnosis would be arthroscopy, in which a small camera is used to look inside of the joint and see the degree of damage. How Are Dog ACL Tears Treated? All FULL ACL tears require surgery for best results. The simple reality is that the knee needs to be stabilized in order to be functional. Depending on the degree of the PARTIAL ACL tear and or the size of the dog, some partials tears can be treated successfully with medical management utilizing modalities such as rest, physical therapy, cold laser therapy and joint supplements, to name a few. In general, surgical stabilization is recommended in all patients with a ACL tears, both full tears and partial tears that are compromised greater than 50%. Here are the three most common recommended surgeries with basic descriptions of each. 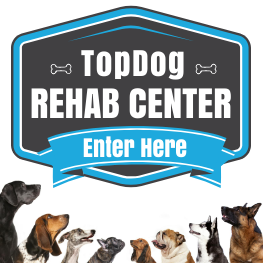 For a more complete understanding of each surgery follow the links to the TopDog Orthopedic Surgery Library. Each surgery page has photos and diagrams to help you understand the entire process. Extracapsular Repair/Lateral Suture Repair/Lateral Fabellar Technique: This surgery procedure actually has tons of different names but we just listed the most common ones. The surgery involves the placement of a monofilament suture (similar to fishing line) outside of the joint. The suture is passed around the small bone (the lateral fabella) on the back side of the femur, and then passed through a hole drilled in the top of the tibia. The sutures are placed in a way that mimics the normal anatomic orientation as your dogs ACL ligament. The sutures are then tightened appropriately to stabilize the joint without making it too tight. The key to this surgery is in the formation of scar tissue in the first 8 weeks after surgery. This procedure is more commonly recommended for small dogs and cats or pet owners with financial considerations. Can Dog ACL Injury Be Prevented? Unfortunately, there is no sure-fire way to prevent ACL injuries in dogs. 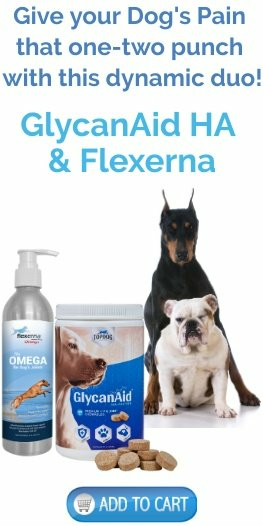 The best you can do is to keep your dog in ideal body conditions, exercise them regularly, give them high quality joint supplements that are balanced and optimized for ideal joint health and avoid excessive high jumping. Early diagnosis and treatment are critical for improving the long term prognosis and will minimize the progression of degenerative joint disease (DJD) or arthritis. The worse case scenarios are the dogs who have a partial tear that goes undiagnosed for a long period of time. The chronic instability in the joints leads to arthritis and the compensation leads to potential injury to the other legs. Though reported statistics vary, it is estimated that on average 30-50% of dogs who tear one ACL will tear the opposite ACL within a few years. As mentioned previously this is entirely due to compensation stress, which overtime is a result of lack of proper post-surgery physical therapy and the proper use of joint health supplements which can make a huge difference in improving the overall health of the joints. 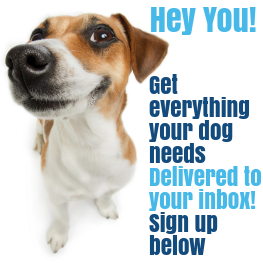 Your dog will do amazing, just like the thousands of others that TopDogHealth has helped throughout the years.